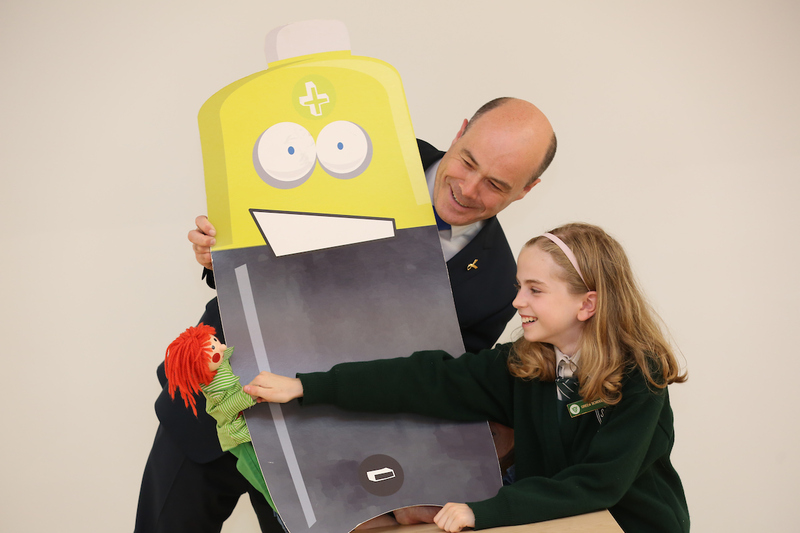 Bosco and Minister for Communications, Climate Action and the Environment, Denis Naughten TD announced the winners of the WEEE Pledge schools battery recycling challenge and launched WEEE Ireland’s battery recycling campaign for 2017 at the Rediscovery Centre in Ballymun. 1 in 5 admit to putting waste batteries in the bin, but what a waste! Batteries can be easily recycled through schools participating in WEEE Pledge or in the blue recycling boxes in any of the thousands of shops that sell batteries across the country. It couldn’t be easier to make battery recycling part of the household routine. Children across the country have been playing their part over the last year through the WEEE Pledge schools battery recycling challenge. WEEE Ireland (Waste, Electrical and Electronic Equipment) is a not for profit organisation, founded by Producers of electrical and electronic appliances to help them comply with the legal obligations imposed by the EU Battery Directive 2006/66/EC and WEEE Directive 2012/19/EU. WEEE Ireland manages the collection of household WEEE, lighting equipment and batteries from authorised collection points for recycling, on behalf of its Producer members. WEEE Ireland’s objective is to provide cost effective compliance for Producers to meet the requirements of the Regulations whilst minimising the cost to the consumer. WEEE Irelands popular WEEE Pledge campaign provides incentives and resources for schools to get involved in battery recyclingwww.weeepledge.ie. European Battery Recycling Day is now in its third year and is the result of a pan-European effort from members of the European Association of National Collection Schemes for Batteries, (Eucobat), an organisation which includes as a member, its Irish affiliate, WEEE Ireland. European Battery Recycling Day aims to offer the opportunity to raise environmental awareness regarding the recycling of waste batteries and to drive take back for recovery of resources across the region. LauraLynn also provides vital bereavement supports to families after they have lost a child. More than 3,800 children live with life limiting conditions in Ireland. Every year, approximately 320 with a life-limiting condition die, most within their first year of life. It costs €5.2million to keep LauraLynn’s Children’s Hospice open, €3.5million of which must be generated each year through fundraised income. Since opening in 2011, LauraLynn has cared for more than 350 children and their families. For further information please visit lauralynn.ie.